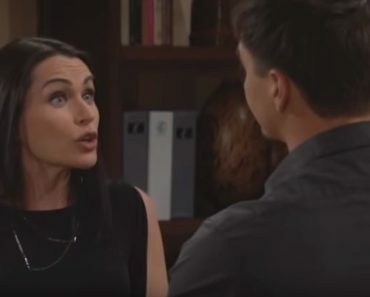 The Bold and the Beautiful fans know that Death is a real thing when it comes to their favorite characters, and it’s been one of those things that comes around and goes around. Except there is one minor difference on this show compared to the others. There are fewer deaths on this show, and most people do come back. However, there have been a few that didn’t come back from the dead – yet. We think that there is always a chance some people who have died on this show and in this major city in the land of fashion and fear could come back and make a big splash in town. But what do you think about that? Do you think you’d like to see any of the dead characters on this show come back to life? Here are a few we’ve been thinking could make a big story line work for the rest of the show. She’s one who causes more problems that we can even imagine, and she died as a teenager not yet even old enough to drink. She was someone who had her issues, but she did what she could to make sure she could get her way. She was not someone who made good decisions after she allowed her situation with Steffy to get so far out of control. Her death was her own fault. It was the night that the company did the transgendered fashion show and things just fell apart for her. She could not allow Steffy to try and make things right for her, so she popped her tires and then followed Steffy. She wanted to kill her and make herself feel good about life again, but Steffy was able to defend herself and make it happen so that she did not die. She hit her with the tire iron that Aly tried to kill her with, and she fell and hit her head on a rock. She ended up dying right then and there because of it. It was not a good thing for anyone, but we can say that we think there is always a chance we can get her to come back from the dead. Why do we think that? We think that because she was presumed dead at the scene because she had no pulse. We know that can happen in many situations without much of an effort, and we wonder if there is a good chance that she might actually have come back to life on her way to the morgue and ended up covering up her death and running away. She had so many issues with her family and all of them. They were not in a good place with her, and there is always a chance she could have died and ended up coming back to life and decided to get away from her family. She’s a Forrester, and they have a long history of messing people up. She didn’t want anything to do with that after such a harsh wakeup call. W can see that happening. Here’s why we believe that Macy could come back at any point. Because she died once and came back to life is the main reason we feel this could happen. The other main reason we feel this could happen is the simple fact that she is the kind of woman who then died again off the camera. This means that there is a greater chance she can come back because of all that. She might just have her way with people, but she could come back. And the fact that Thorne, the man she loves the most, is now married to another woman is something that might just bring her back. The second time she died was something that happened when she wasn’t even on television. It was just told to her friends and family that she’d passed, which means that there is an excellent chance she ended up on a beach somewhere else. Now that Thorne is married, she might just come back and try to get her to come back for herself. She’s that kind of woman, and we can see it happening.